If you are looking for rural peace and quiet in the countryside, combined with quality facilities and friendly personal service then The Old Brick Kilns is for you. 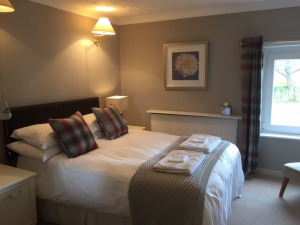 We are ideally placed to discover the sandy beaches and nature reserves of the North Norfolk and West Norfolk coasts, the Royal home of Sandringham, the Lavender farm at Heacham and the beautiful Cathedral City of Norwich. There are numerous local attractions to suit most tastes, pockets and abilities. We are an ideal stop off point on the Hull Harwich cycle route too; and close to Pensthorpe Bird Reserve, Fakenham Racecourse, Thursford Organ/Steam Collection, Walsingham Shrines, National Trust properties of Felbrigg & Blickling and many others. From Fakenham, take A148 Cromer road. After 6miles turn right onto B1354 signposted Melton Constable. After 200yds turn right signposted Barney, after 300yds turn left into Little Barney Lane. House at end of the lane (approx 3/4 mile).